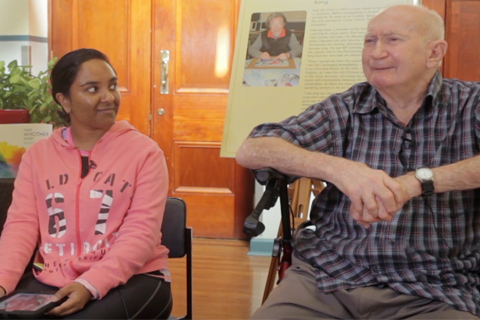 Every program and everything we do at City of Parramatta Community Care is underpinned by research to ensure we provide you with the best services possible. Discover what ‘Person Centred’ really means by reading some of our research. You can also find our book – Take Another Look – A journey towards person centred and wellness models. Are you are a new customer over the age of 65 years? Whether you are looking for National Disability Insurance Scheme (NDIS), or you are over 55, or over 50 for Aboriginal or Torres Strait Islander peoples, and want to join in activities like bus trips, yoga, line dancing, and art classes, the City of Parramatta Community Care team can help you. If you are over 65, or over 50 for Aboriginal or Torres Strait Islander peoples, and need help in the traditional Aged Care sector with help around the home, shopping, lawns and gardens, home delivered meals and other social support, then you are in the right place. We believe that everyone at every phase in their life deserves to have fun, be included and be able to contribute and be appreciated. This is what we aim to do. Living independently in your own home and having a say in what you want to do and who you have in your life day to day should be a given but unfortunately so often a menu or package of services give way to real choice – not with us. We are unique. Small enough to be boutique. Large enough to be here tomorrow. Let us come on your journey. Many of our activities are open to anyone. Some services such as lawn mowing, Let’s Dine Out and volunteer support require you to have a My Aged Care referral or be registered with the National Disability Insurance Scheme (NDIS). Some services are restricted to our Local Government Area but more information can be found on each service below. My Aged Care is a Commonwealth Service and is for people 65 years of age and older. NDIS is a Commonwealth Service and is for people under 65 years of age and living with disability. Our food services provides nutritious meals for older adults who are unable to shop for or prepare their own meals. Whether it's delivered meals through Meals on Wheels or social lunch programs, our food services can be tailored to suit most dietary requirements, are nutritionally balanced and culturally diverse. Click here to learn more about the food services available. Our Social Inclusion Program provides support for people who are frail and/or aged, people living with disability and their carers. The program aims to help you feel more included, connected and valued in our community and builds on your existing skills, strengths, interest and networks. The Community Care team are an approved provider for the Home Care and specialise in reducing isolation and loneliness by connecting you with activities, interest groups, and if you would like, a volunteer to go out with or simply pop in to visit and have a chat or share a meal. Find out more about our Home Care Packages here. Our Carers Support service provides assistance for primary carers who live with or care for people who are frail and/or aged. Click here to learn more about the services available and how you can join. To help you take the hassle out of keeping your gardens maintained, City of Parramatta provides a subsidised lawn mowing services and basic gardening for seniors in the Local Government Area (LGA) who are frail and aged, financially disadvantaged or carers with no support to assist them. To be eligible you must be registered with My Aged Care. Learn more about the lawn mowing service and how you can apply. Our Community Care team are an Approved Provider for National Disability Insurance Scheme (NDIS) and specialise in Support Coordination and Direct Support; working with individuals teaching new skills to improve independence, and thinking outside the box to assist with further educational, travel, living independently and both group activities and mainstream activities depending on the individual needs and wants. City of Parramatta's Over 55s Leisure and Learning service provides an extensive range of educational, physical, recreational and social activities throughout the year for people over 55 years of age. From Tai chi to yoga and knitting to painting, there's something for everyone to enjoy whilst making new friends in a fun and lively environment. Find out more about the activities available and how you can get access. Volunteers are essential for us to operate many of our services for older people, adults living with disability and their carers. If you are able to volunteer for a couple of hours every week and have a passion for helping your community consider joining our wonderful team of volunteers. Find out more about how to volunteer with us. Designed for Service Managers and workers in the new Community Services industry, this training has been designed around evidence based research which underpins the mind set and thinking we all need to make these new changes successful for everyone. Click here to find out more about the Person Centred & Wellness Model training.